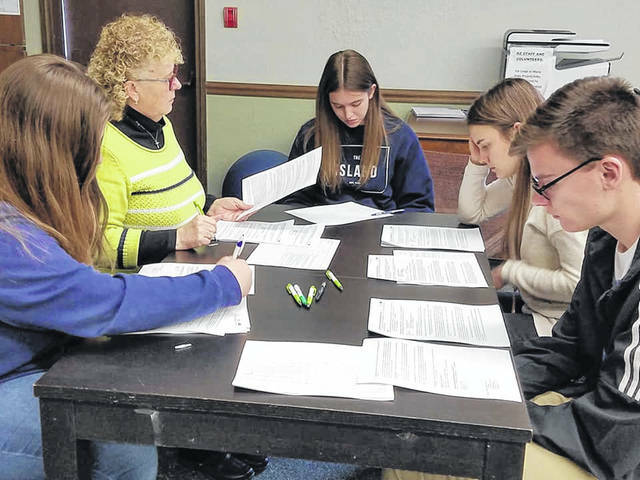 Teens on the Student United Way committee reviewed grant applications from 14 organizations whose combined requests totaled more than $70,000. The students had $25,000 to spend. Teens on the Student United Way panel listen to presenters from organizations making their case for funding. The Student United Way committee held its final meeting of the school year at the Honda Heritage Center. The panel of juniors and seniors representing every district in the county came to a consensus to allocate $25,000 in donor dollars among seven local organizations serving youth in Logan County. It sounds like the premise of a reality TV show. Give 28 high school upperclassmen from seven schools $25,000 and let them figure out how to spend it. And yet that exactly describes the six-month project completed by the Student United Way committee of United Way of Logan County. The panel of juniors and seniors representing every district in the county came to a consensus to conscientiously allocate donor dollars among seven local organizations serving youth. · Logan County Family & Children First Council will receive $6,152 for the 10-week “Why Try” class, a nationally recognized program for at-risk teens and their parents to look at problem behaviors and positive responses. · The Indian Lake High School Students Against Destructive Decisions group is receiving $5,000 to conduct Challenge Day, a program that addresses bullying, violence, cliques, negative judgments, harassment, intolerance, racism, sexism, suicide, drug abuse and depression. · $3,753 is headed to Indian Lake Community Church to support The Lookout after-school and summer program for middle and high school youth. · The Logan County Sheriff’s Office will receive $3,432 to present life skills curriculum in the Juvenile Detention Center. · Bellefontaine First United Methodist Church will receive $3,163 for its new Community Youth in Action, designed to teach teens landscaping, painting and minor home repair skills by working on service projects in the community. · $2,000 will be going to the Logan County Coalition for Opiate Relief Efforts to help 6th and 9th grade students throughout the county to learn risk factors for suicide and help kids learn for signs of distress in their peers. · And the Summer Enrichment Academy will receive $1,500 to provide scholarships for up to 20 kids during its week-long program in June. 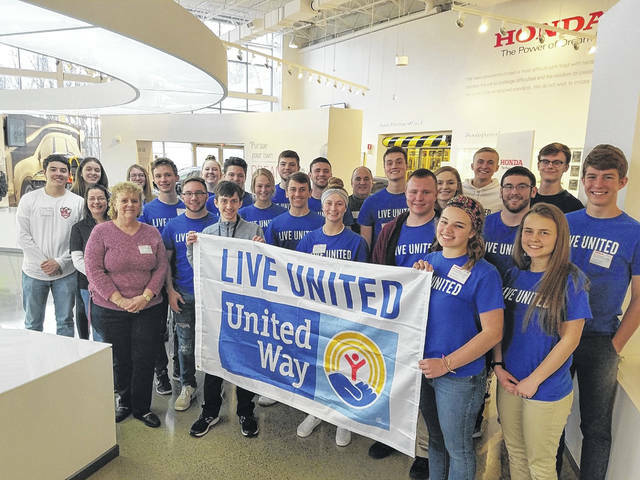 This year’s Student United Way started last October, when the teens were exposed to the social service needs facing local families by participating in the Cost of Poverty Experience simulation. After establishing their own criteria for how they wanted to spend the money, the students received 14 applications from local organizations requesting more than $70,000. They whittled that down to nine entities from whom they invited representatives to come present before the group to pitch their programs. A lively discussion at the final meeting last week involved much give and take to hammer out the final details.